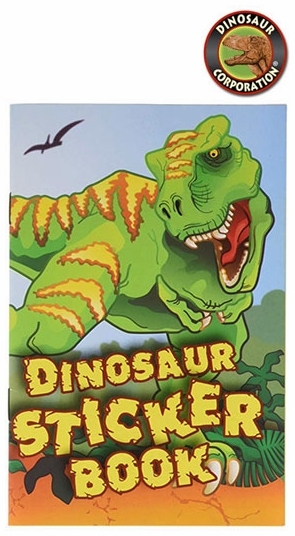 Dinosaur Stickers Book will creates a fun at your prehistoric birthday party. 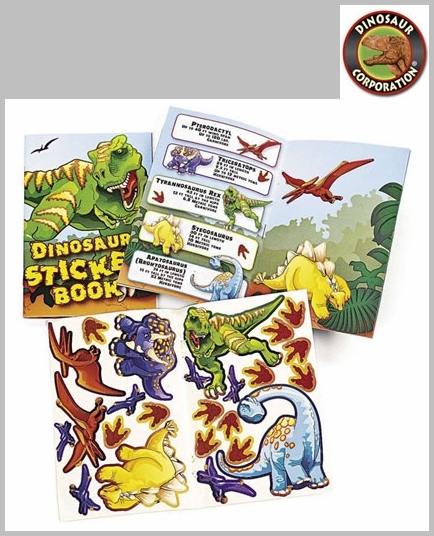 10 pages of dinosaur stickers with Pterodactyl, T-rex, Stegosaurus, Brachiosaurus, dinosaur footprints and more. Prehistoric scenes on every page, plus a page of dinosaur facts!